Dusty looked pretty happy at the VIP reception before the show. This can happen when you play a show in the town where you grew up. John enjoying giving the folks in Victorville a little bit of Pioneers history. We were delighted to have our pictures taken with the great singer Marilyn Tuttle (left) and K.J. Bruce, author of the Western Reservior blog. Tommy and Paul were feeling the music. Those Sons of the Pioneers harmonies…. Whatever Ken was singing it’s bound to be sad. Signs of Roy & Dale. Signs of Roy and Dale. Roy Rogers and Dale Evans were passionate about helping abused children, and were instrumental in founding the non-profit Happy Trails Foundation. Today the foundation continues their passion by providing a number of critical services for boys 10 - 16 who are victims of abuse. The Sons of the Pioneers are honored to have the opportunity to help further this valuable legacy by performing at this fund raiser benefit. Roy and Dale lived for many years in Victorville, and that is where Dusty grew up. This was abundantly clear, from the VIP reception before the show to the reaction during the concert from 750 enthusiastic fans. Dusty seemed to know everyone in the place, and they all seemed pretty excited to hear him singing with the Sons of the Pioneers, the band his father founded 84 years ago. Memories of Roy and Dale are everywhere in Victorville. 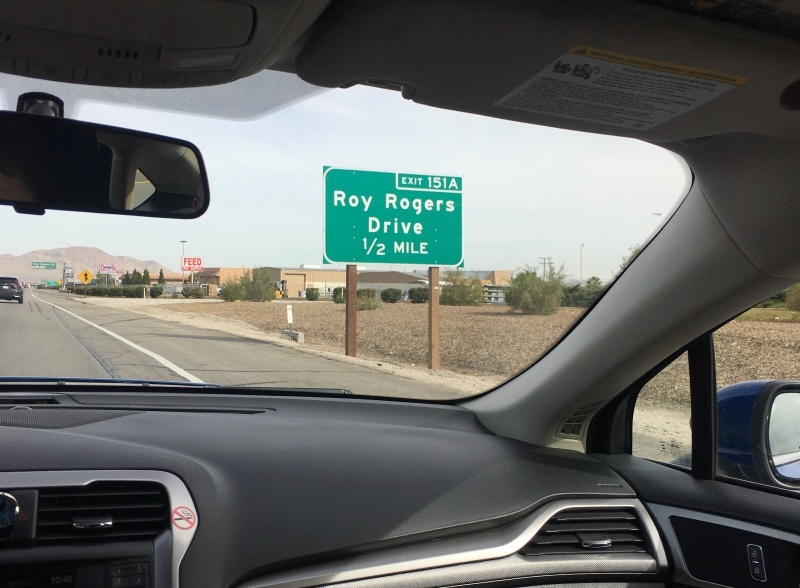 (Where else would you fine Roy Rogers Drive, Dale Evans Parkway, and Happy Trails Highway?) Ken, John, and Paul took the opportunity for a quick visit to their final resting place at Sunset Hills Memorial Park in Apple Valley to pay their respects and connect with some deep Sons of the Pioneers history. It was a lovely trip all around. 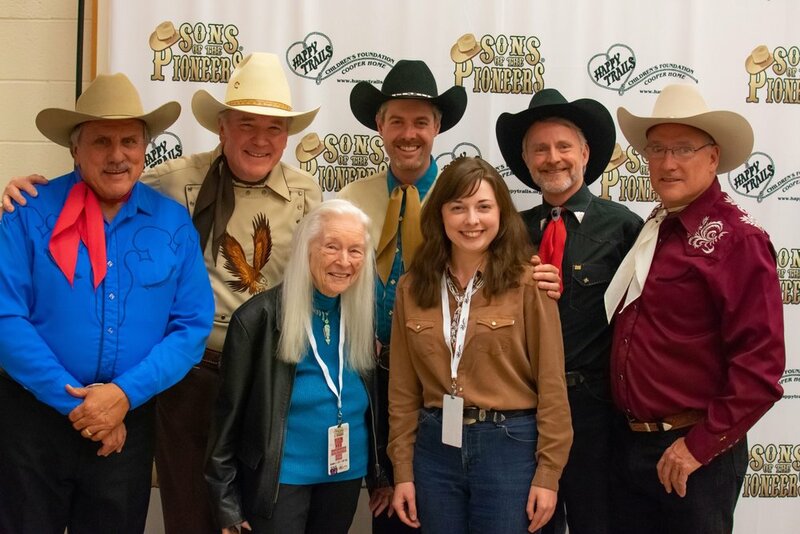 The Happy Trails Foundation had a sold-out benefit and VIP reception, we had a great time meeting so many people, and the Victor Valley Performing Arts Center is an excellent place to play.